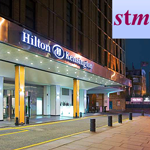 STM E-Production 2010 held at Hilton London Kensington Hotel 179-99 Holland Park Avenue, London, UK. Drilling down into eBook identifiers - ISBN, ISTC, DOI etc. Drilling down into eBook identifiers – ISBN, ISTC, DOI etc. Managing Editor, Schlager Group Inc.